A few weeks back, I was lucky to call Lassen National Park in Northern California my home–if only for 6 days. Having the outdoors as my childhood playground, the moment I arrived through the park gates, my smile instantly grew. I was so excited to be back in nature. While I was camping, I enjoyed many s’mores, relaxed with friends, discovered beautiful landscapes and had some play time with my camera. Lucky for me, we were camped at a beautiful lake which provided close-by opportunities to capture beautiful sunrises and nightscapes. Among them is my favorite photo of the Milky Way. 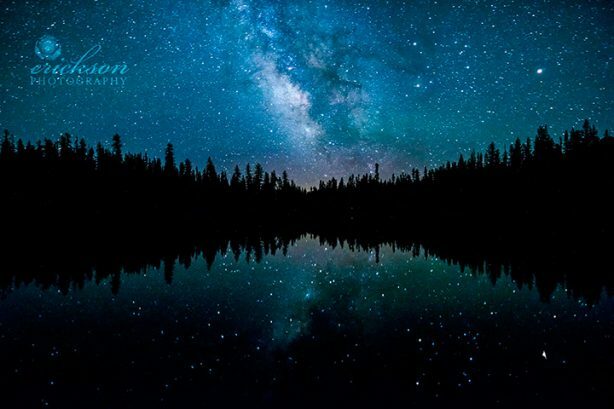 Conditions were perfect for capturing the many stars that were visible at that altitude and distant from the city lights and having the reflections in the lake of the stars was icing on the cake.